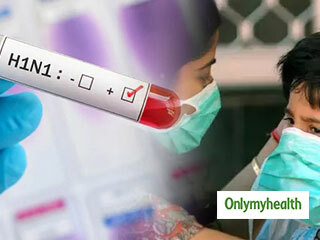 Swine FLU- All about Swine flu: This section provides you with the latest articles and information on swine flu. Swine flu is a respiratory disease caused by virus commonly found in pigs. Swine flu is also known as Swine Influenza and H1N1 flu. Most commonly swine flu is due to H1N1 influenza subtype but sometimes it may be a result of other subtypes, such as H1N2, H3N1, and H3N2. Get the facts on swine flu, its symptoms, how this contagious infection is transmitted, diagnosis, treatment and prevention through vaccine. Swine flu is now affecting a lot of people. The numbers are increasing day by day. Here are all the causes, symptoms and precautions methods of swine flu which can help you control the spread. 103 fresh swine flu cases have been reported in Delhi. The flu is spreading on a large scale. Know common habits which put you at a higher risk. Delhi has reported 617 swine flu cases. The health ministry has asked all the hospital to provide all the necessary medical help required to control the spread. As an individual, you should take the necessary measures to prevent yourself. 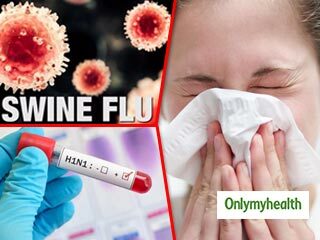 Jaipur has reported six more deaths due to swine flu, out of which three deaths were reported in Jodhpur and one each from Baran, Nagpur, and Pali. The state has reported a total of 30 deaths on January 12, in 2019. 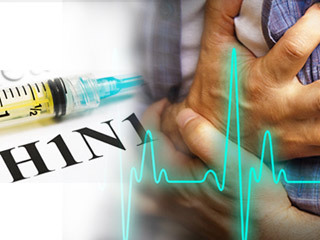 H1N1 or Swine flu infection can have adverse effects on heart patients. If you have cardiovascular disease, consider a few precautionary measures listed in the article. Swine Flu Treatment in during Pregnancy - Swine flu treatment for pregnant women must be started immediately after the onset of the symptoms. Read on for important piece of information regarding treatment of pregnant women suffering from swine flu. The common flu and cold symptoms may not be that common at all, especially for pregnant women as they are most vulnerbale lot as far as getting swine flu is concerned. Prevention from H1N1 virus: Good hygiene can help to prevent the spread of swine flu viruses and bacteria. Read some of the hygiene measures that is used for prevention from H1N1 virus. 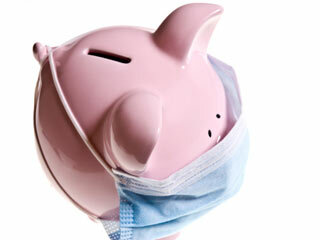 Wearing masks can help you prevent swine flu (H1N1) as the disease is transmitted by way of airborne particles. Know what you can do to keep yourself safe from the raging disease. Risks of Swine Flu Vaccine During Pregnancy –Swine flu vaccination increases the risks of births defects during pregnancy. Both the mother and baby need to protect from swine flu vaccination in pregnancy.